Swift is already on its way to being used in platforms of all kinds, and it’s all thanks to Apple open-sourcing it. So what does open source Swift mean for us as developers? We’ve got the lowdown on every part, starting with the history and working up to the current state of every major project. Swift wasn’t always open source. You might have already known that, but it’s still instructional to look back at how it came to be that a company as huge as Apple gave their new language to the community. Fortunately, our own Minwoo Park wrote a short history when Swift was open-sourced! Most importantly, they launched the swift-evolution repo, which is where anyone can propose changes to the language. In the 9 months (as of this writing) since its debut, it has accumulated 130 proposals (some rejected) from the community. It’s been incredible to watch developers of all types (HA!) [Ed. note: Plz stop] submit their ideas and have them considered by the core team and the community. So how might you submit an idea? We’ve got true-to-life tales of two contributors to tell you how they did it, plus a great overview of the contributions everyone has made thus far. Russ Bishop had never worked on a language before, but got three proposals shipped with Swift 3! 👏 He'll convince you that you can do it it to, whether or not you know anything about compilers or C++. Jesse Squires takes a look at the technical side of contributing to Swift. After this, you'll know exactly where to jump in to implement your genius ideas. We can of course learn from those who have come before us. Daniel Steinberg covers all the changes to Swift 3 (also helpful even if you're not contributing!). See what's been accepted, with links to all the relevant documents for the full history of each change. One of the benefits of Swift being open-source is that the community can drive it to other platforms faster than Apple could. (Or would. I personally doubt they would have bothered with Android, at least not this soon.) But with the core team focused on the language itself and the Apple platforms, the other platforms tend to move a lot more slowly. But the community keeps them moving forward! Boris covers the state of cross-platform Swift in June 2016. tl;dr - It's pretty good, but there are some gotchas as soon as you leave Cocoa's frameworks behind. JP with a more tactical how-to on developing Swift on/for other platforms. A mini-guide for setting up your environment and tooling correctly, with workarounds for those fun little quirks. Running Swift on servers has been by far the most hotly anticipated platform since Apple announced it would be supporting Linux. What iOS developer wouldn’t want to use the same skills and libraries to create their own backend? So there have already been several server frameworks created, and they’re surprisingly full-featured! If you’re looking to make a new backend, look no further. 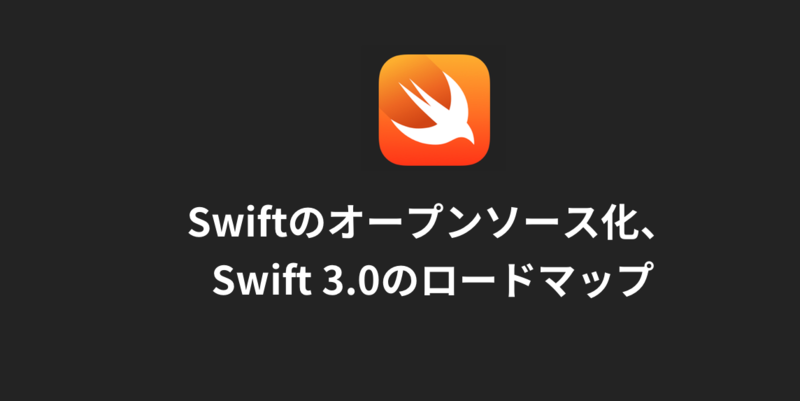 Swift is here! Edward gives an overview of four popular Swift server frameworks: Perfect, Vapor, Kitura, and Zewo. Very helpful if you're not sure which to use. As a bonus, there's even a walkthrough of making a simple Vapor app. Steve goes into much more depth about a server framework he wrote, Caramel. A great talk if you're not just interested in how to use them, but how a server framework works and why. The growth of Swift means a growth of tools and services around it, which make it even easier to build Swift apps. IBM has invested pretty heavily (and famously), but so are lots of smaller companies and even individual developers! There are browser-based sandboxes, a few options for package management, CI (yay? ), and tons of libraries. Syo Ikeda summarizes the shape of the ecosystem & points you to a bunch of resources to learn more about each part. The least fun part of Swift [Ed. note: 🔥] is maybe secretly the most powerful. SourceKit is obviously best known for crashing (though at least it doesn’t crash Xcode any more), but it can do so much more. It powers most of the ways the Xcode interacts with Swift, which means that you can do all of that your way, plus more. Back when SourceKit was news to all of us, JP was already bending it to his will. 💪 Here he live-codes a reimplementation of code completion. After some more practice, JP could make SourceKit do all sorts of cool stuff. Want to see Swift finally be refactorable? (Crazy talk, we know.) All that & more. We’ll keep this up to date with the best content available anywhere. Got suggestions for this guide? Let us know on Twitter!